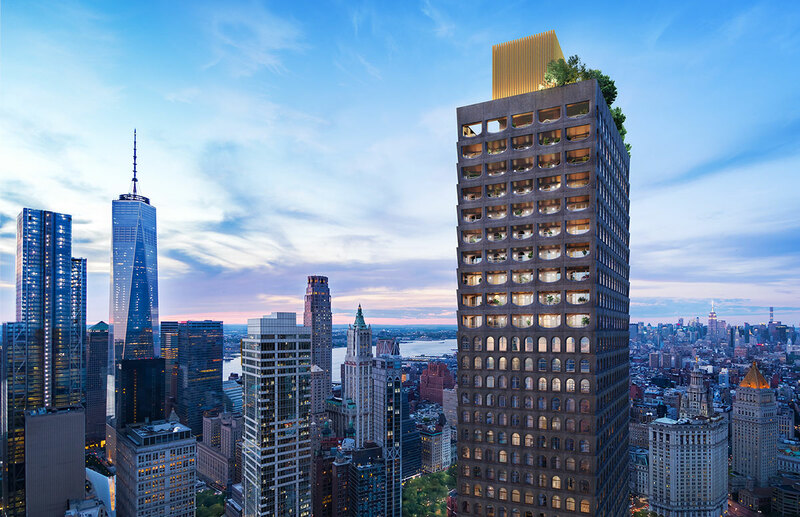 The Adjaye Associates-designed 130 William, the firm’s first skyscraper in New York, is on the rise. 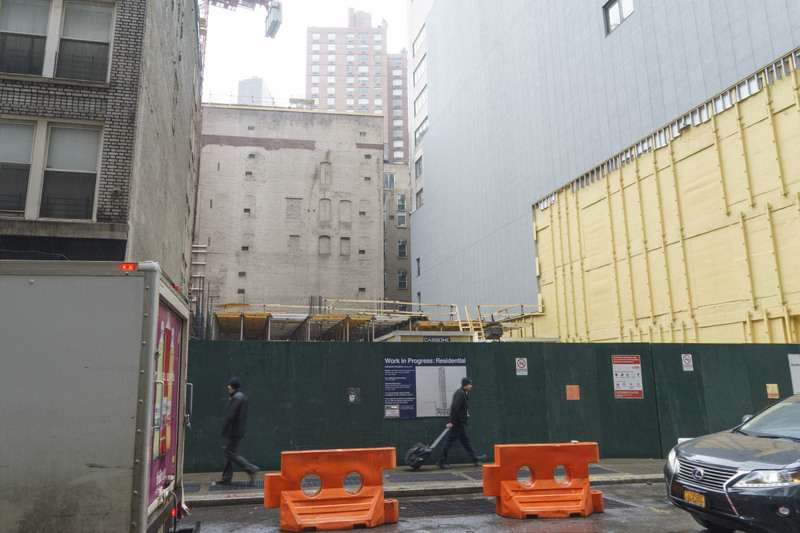 AN has spotted crews working above grade, and a red kangaroo crane has gone up at the Financial District site to help the building reach its expected completion in 2020. At 66 stories and 755 feet tall, the building will be a substantial addition to the downtown skyline. However, unlike most recent towers built in this current boom, 130 William will eschew a glass curtain wall for a custom-tinted precast concrete accented with bronze. The texturally rich surface will be punctuated by arches and loggias on the upper floors, which will blur the divide between interior and exterior spaces for their inhabitants. The cutouts in the upper half of the building’s façade invert the traditional window shape commonly found among historic buildings in the neighborhood (as well as on the tower’s lower half). The project’s narrow, L-shaped lot on the corner of Fulton Street and William Street was assembled in 2015 through piecemeal acquisitions and demolitions by developer Lightstone group. Construction began in late 2017, well before the official renderings were released. The building’s location near the Brooklyn Bridge will afford many of the residents unobstructed views of the East River from the 244 light-filled units, which includes interiors also designed by Adjaye Associates. 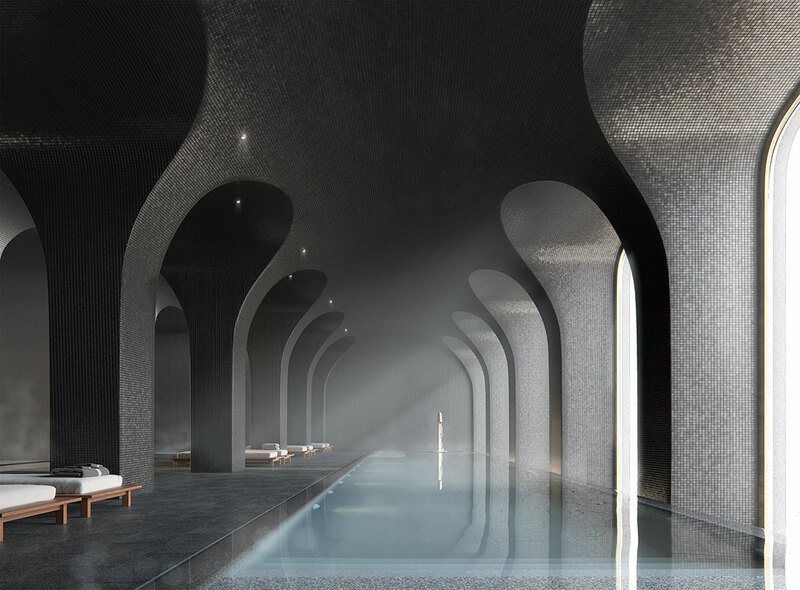 Residents of the luxury tower will also have access to a number of amenities, such as a black-tiled swimming pool with grandiose windows, a fitness center, a pet spa, shared outdoor spaces, a rooftop observatory, and not least of all, reportedly an IMAX theatre. According to City Realty, city paperwork also suggests that there will be ground-level retail and a plaza park, embedding the tower within the urban landscape below. 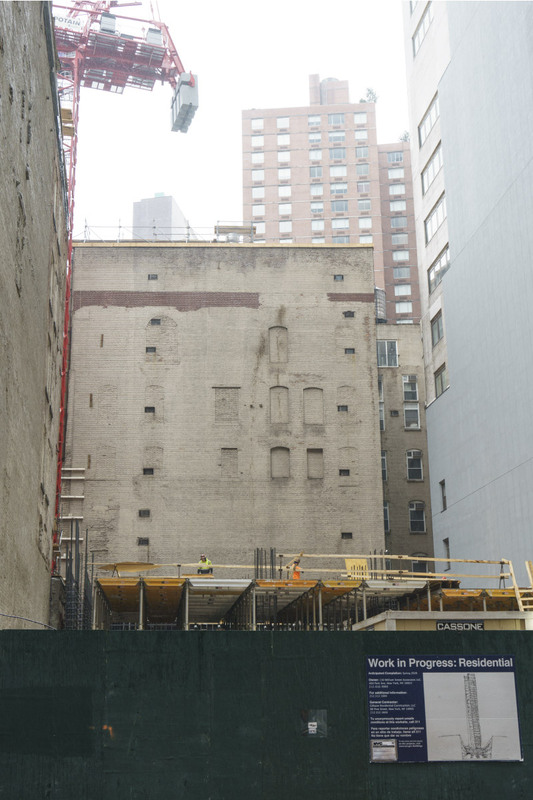 David Adjaye has been ramping up the firm’s presence throughout Manhattan as of late, including the Studio Museum in Harlem and the recently completed SPYSCAPE museum in Midtown.